Our professional staff provides expertise in the field of Project Management, Administrative Services and Human Resource Advisory Services. 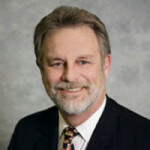 Scott DeVore, MBA, PMP, CGC along with his company, DeVore Capital, LLC, has established a strategic alliance with Balog + Tamburri, CPA’s ”Virtual CFO Practice.” Mr. Devore brings our Firm and our joint clients more than 15 years of experience in the Healthcare, Aerospace, Energy, and Construction Management industries. Mr. DeVore has also successfully created and operated several successful entrepreneurial ventures. Mr. DeVore will support the Firm’s Virtual CFO Practice, to provide the success-oriented entrepreneur real strategic and tactical support. His experience as a General Contractor provides a keen strategic planning focus. He assists strategic management develop a focused business direction and vision through the development of customized dashboards that provide a true vison of the road ahead, while never losing sight of the company’s health and progress towards their KPIs. 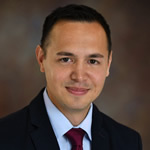 Mr. DeVore’s academic accomplishments include an MBA from American InterContinental University, and a BS in Business Management from Washington College. In addition, he is a Certified Project Management Professional (PMP) as well as a Certified General Contractor (CGC) in the State of Florida. Mr. DeVore’s combination of strategic and practical experience makes him uniquely qualified to provide Virtual CFO and Strategic Planning services to your organization. 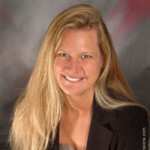 Jen Garland has over eighteen years of experience in administrative support in both corporate and academic settings. This has allowed Jen to gain a wide variety of knowledge and processes that will benefit your business with all of its administrative and organizational needs. 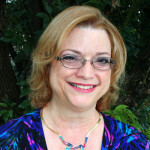 As President of Admin911, Jen provides hands-on solutions to businesses large and small. It is her passion to make your business more organized, effective and successful by allowing business owners to do what they do best, hence, eliminating their frustration with administrative work. Jen is committed to providing top-notch administrative support as well as organizing processes that work for your specific company. Every plan is completely customized to each individual company she works with. Additionally, she provides business owners the opportunity to work with her on an “as needed basis” eliminating employment tax liability obligations and the freedom to get exceptional knowledge, expertise and work from a person who is as committed as you to the success of your business. Balog + Tamburri, CPA’s has a Strategic Alliance with McKenzieHR. Mr. McKenzie, President, brings over 30 years of human resource management experience to our clients. This includes training and development, Equal Employment Opportunity compliance experience Affirmative Action Plan Development, Performance Management and Compensation systems development, Professional and Staff recruitment, employee relations, union avoidance and labor contract negotiations. His working experience encompasses a wide range of industries.